This is a presentation template with a nice tech style containing 27 unique slides in a 16x9HD aspect ratio. The slides are easy to edit and comes ready and optimized for the use with Google Slides, Keynote, and PowerPoint. 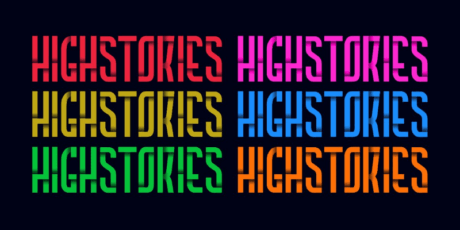 Shared on Dribbble by hislide.io. 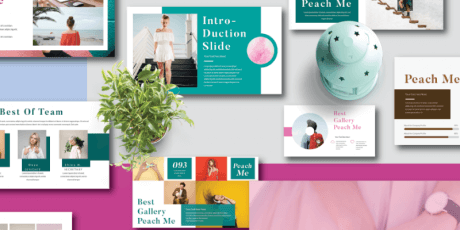 This is a presentation template with a retro style for PowerPoint, Keynote and Google Slides. It includes 25 Unique Slides with 16:9 and 4:3 aspect ratios, full/ no animation, editable color theme and all slides come retina ready. 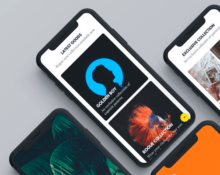 Designed by Dribbble user HiSlide.io. 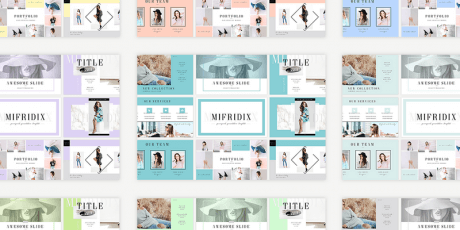 An exclusive courtesy of InspiraSign: More than 30 unique powerpoint presentation slides in three different premade professional color palettes. PPTX format clean & organized files, including download links for all the fonts. 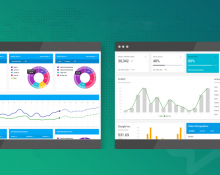 Hundreds of cool vector graphics, charts & icons. 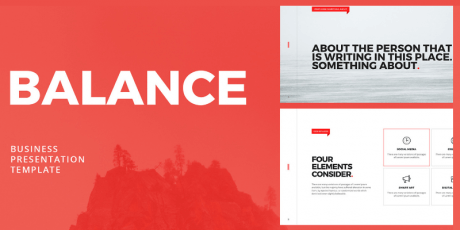 Wanna get more professional presentation packs like this one? Check out this amazing deal! 10 unique Powerpoint templates suited for creative industry, technology, finance, Christmas social events and more. The slides are in a 16:9 aspect ratio and the elements contained are editable from shape to colors with optimized drag and drop featured. Created by RRgraphdesign, free for personal and commercial use. 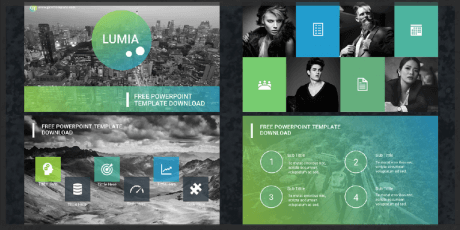 A set of unique presentation slides with a monochromatic color palette and a fashionista style. Sabee was made using Slidemaster which allow you to easily edit your images by just "drag and drop". Each element is fully customizable and so, it can be modified to fit your specific needs. Created by Spesifikdesign. 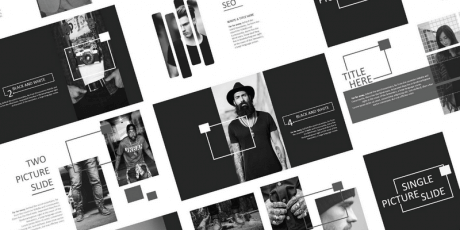 A presentation template with 80 slides in a modern layout based on Master Slide. The slides come in .PPTX and .KEY file formats for OS Compatibility. All the objects included in the slides are vectors or smart objects which make them easy to edit with a vast color option included. Created by Haris Purnama. 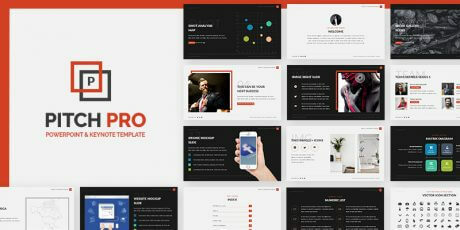 A unique, modern, and multipurpose presentation template, with 15 completely editable slides that can be used for any presentation: business, portfolio, corporate, branding, advertising, etc. It contains .PPTX and .KEY file formats to cover Windows and Mac users. Created by Haris Purnama and the Pixelify team. 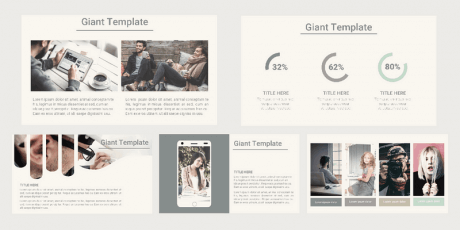 Modern and elegant PowerPoint presentation template. 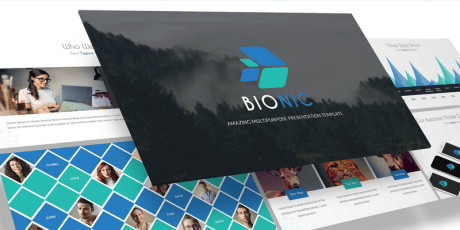 All 21 slides were designed with a variety of great features including creative photo placeholders, overlays, and more! You can edit everything very easy in your PowerPoint Software. Published by Behance user Olga Kuzminikh. 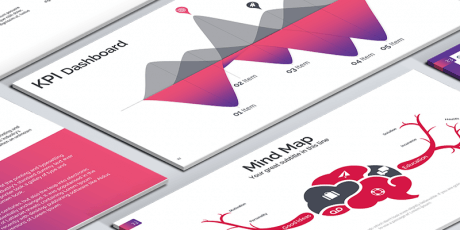 An infographic presentation template created with Adioma, the zip archive contains Powerpoint as well as Keynote file formats, and the presentation features 72 slides with fully editable charts & diagrams like pie charts, icon diagrams, line graphs, area charts, stacked bar charts, maps, Apple device mockups, timelines, grids, cycles, Venn diagrams. Includes icons & stock photos, and it is completely free! 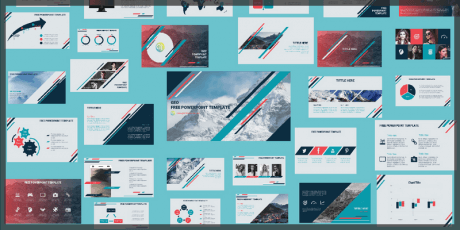 Business Idea is a free PowerPoint template from HiSlide to quickly create visual reports, business plan presentations, pitch ideas, etc. 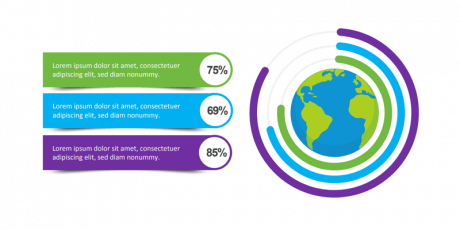 Its fully editable: you can easily change the color of the presentation with your corporate colors, as well as change text and add photos/branding. Slides with photos support “Drag & Drop” function. 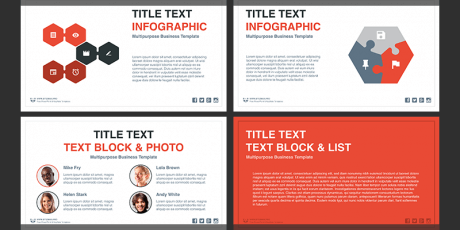 Business idea free PowerPoint template is presented in 16: 9HD, and in 27 popular colors for all 31 Slides included. 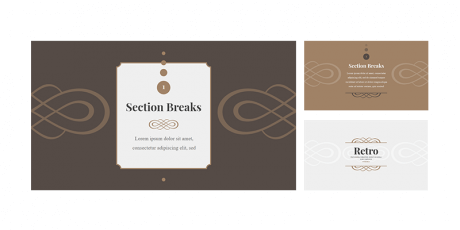 Another great presentation template from GiantTemplate featuring 30 easy to edit slides with simple animations and transitions, gradient colors with neat combinations, and layouts suitable for all kinds of academic or professional presentations. The slides feature Roboto font as default. Free for personal use only. A presentation by Giant Template featuring 30 unique slides, blue-red color combination, 16:9 slide size, morph transition, and animations. Its only available in .pttx format, and it's completely free! 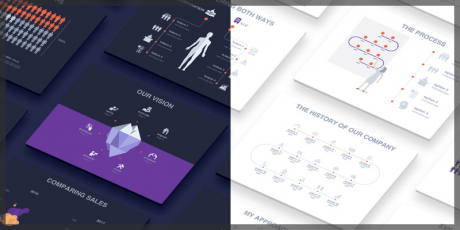 Octave, a neat and modern Pitch Deck Powerpoint presentation template, includes 25 unique slides with custom designs, several illustrations and infographic elements and slides to serve all kinds of purposes. 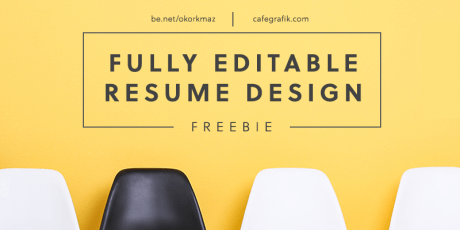 All elements are editable, from the shapes to the colors, and it's completely free. 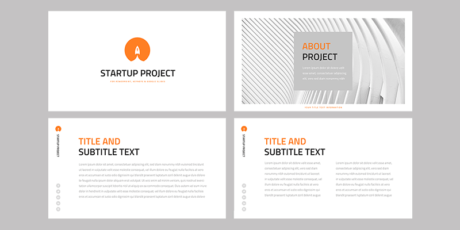 A free to use PowerPoint Template by Premast, featuring slides with a minimalistic. Created using Raleway Medium, Raleway Sembold Fonts, Minimal features soft coloring and rounded edges on geometric shapes. 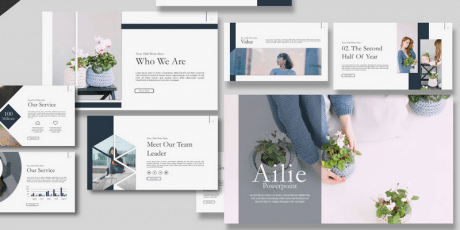 All of the slides and elements in this template are fully editable to allow for a great depth of customization. 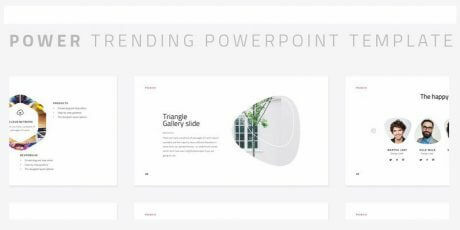 A minimalistic, carefully designed powerpoint template, which includes 18+ Unique Slides, Drag and drop placeholders, and a bunch of fully resizable vector shape forms and elements.